Let’s start with Tuesday’s primaries. In Florida, a fine, well-entrenched state agriculture commissioner (and former congressman) Adam Putnam decisively lost the Republican gubernatorial primary to Congressman Ron DeSantis. The big boost for DeSantis came from President Trump’s endorsement and a Trump robocall to Florida Republicans. The contest for governor of our third most populous state shaped up even better for Republicans as a hard-left Bernie Sanders-backed progressive won the Democratic primary with 34 percent of the vote. The contrast between a pro-Trump DeSantis and a hard-left Sanders socialist will probably keep Florida in Republican hands in November. Florida gave Trump and Republicans a second boost as Governor Rick Scott won an important primary victory for a U.S. Senate seat. Scott has proven in his two campaigns for governor that he is an aggressive, effective campaigner. It is very likely the blue wave in Florida will disappear with the DeSantis and Scott victories. In Arizona, President Trump won another primary victory when Martha McSally, a congresswoman and Air Force veteran (in fact, the first American woman to fly a fighter jet in combat) won the Republican U.S. Senate nomination. 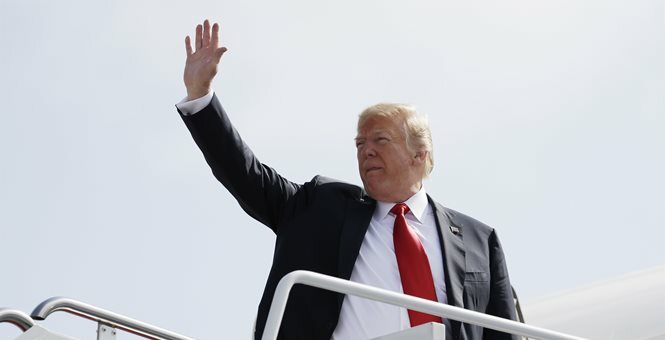 President Trump praised McSally earlier this month at the signing ceremony for the National Defense Authorization Act. What looked at one time to be a close contest became a blowout, as McSally won 52 percent of the vote in a three-way race and was 24 points ahead of her closest competitor. Republican chances of keeping the Arizona seat are dramatically better with McSally as the nominee. Beyond the primaries, President Trump has been winning amazing victories in nominating — and with Mitch McConnell’s leadership getting the Senate to confirm — federal judges. Where Hillary Clinton would have nominated radical judges, President Trump has been consistently nominating constitutional conservatives to the courts. This will have a profound impact on America’s future.